KALAHANDI POST: Help Desk Management System (HDMS) to be made operational from 10/01/2014 by CEPT Mysore. Help Desk Management System (HDMS) to be made operational from 10/01/2014 by CEPT Mysore. The newly developed ‘Help Desk Management System (HDMS)’ to be made operational from 10.01.2014 is an attempt to standardize the mechanism of providing support to the field units in respect of various technical issues in a number of application packages developed by CEPT, Mysore. 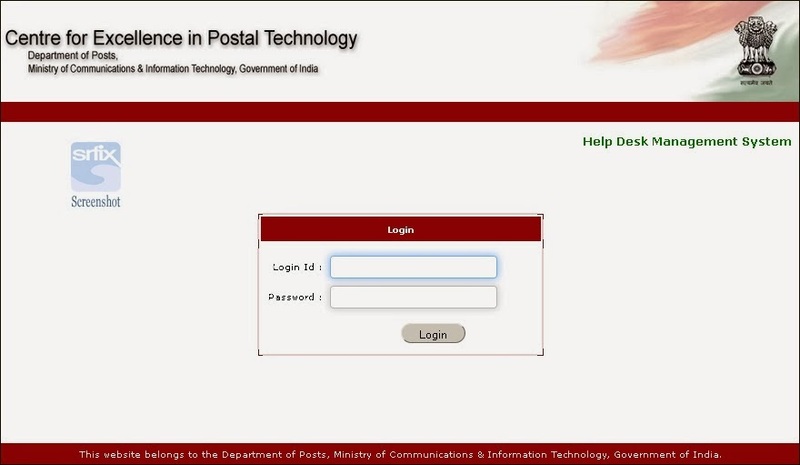 At present the technical support is being provided through email using the support email id (support@ceptmysore.net). This existing system has a number of limitations of which the most important is the limit of sending emails via Gmail on a particular day resulting in delayed replies to the field units. Moreover a particular issue is being raised at various levels e.g. PO / Division / Region / Circle multiple times resulting in multiple handlings of same case thereby delaying the new cases. “Help Desk Management System (HDMS)" is developed as a solution to a number of such issues. This application is hosted over the website of CEPT i.e. http://cept.gov.in under the ‘Support’ Menu. 1. Only registered users having valid user id and password (registered for logging into the CEPT website) can raise a technical issue, called “Ticket”, in respect of pre-defined modules. Any departmental employee can register as a user of CEPT Website & resultantly use the HDMS following due procedure detailed under the Signup link on the Home Page of http://cept.gov.in. 2. The technical issues can be raised for all types of applications developed / maintained by CEPT & being used at all types of offices in the department. However in the first phase of HDMS, a ticket can be raised in respect of 25 major modules / application / website being used at 06 major types of operative offices. The remaining applications / office type is planned to be included under HDMS in second phase subsequently. 3. Each technical issue raised is allotted a unique identity called “Ticket Number” automatically. All correspondences in connection with a particular issue may be seen under this unique ticket number. The user / ticket raiser may remind the CEPT in case the ticket raised by him is not replied within a pre-fixed time frame. 4. Each operative unit shall be mapped to the concerned Division / Region / Circle, which in turn will be able to view the tickets raised for the units under their administrative control. They can also remind on the pending tickets. 5. All the issues raised and solution provided by CEPT will be available for scrutiny at any time and thus in long run, the replies furnished by CEPT will be used to build a knowledge base. 6. The users are encouraged to provide their feedback on the application as well as on the individual tickets.